June is a great month for fish­ing Barn­sta­ble Har­bor as the striped bass have made their way back to the har­bor. They were behind sched­ule this year, almost two weeks lat­er than usu­al, but they are here now. Pre­ferred flies are olive and white and/or char­treuse and white clousers. 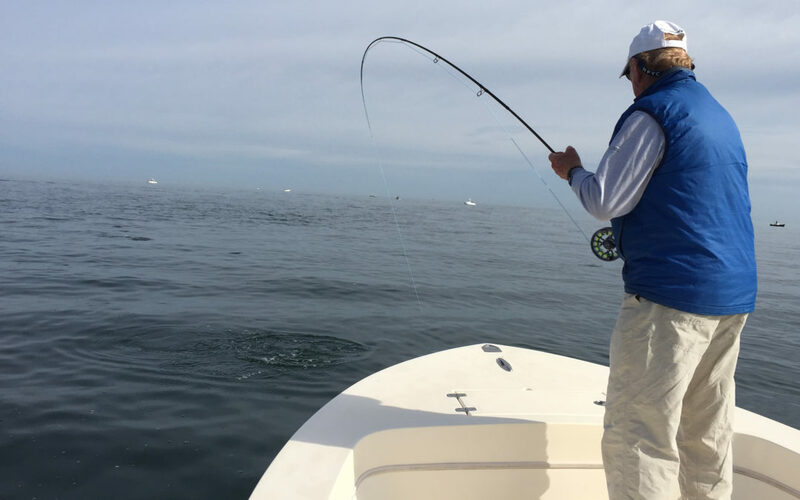 Inter­me­di­ate line gets the fly down below the sur­face where the stripers can see them. Fast retrieves often wake up even the lazi­est of fish! Look for sea lice on the sides of these migrat­ing fish. I’ve always been told that sea lice are the sign of a healthy fish. Beat the crowds and come fish Cape Cod’s Barn­sta­ble Har­bor in June. Spots are avail­able, the rods and reels are ready to go. Call today to Book Your Trip!!! Also, check out St. Croix fishing rods. The Best Rods on Earth!!! 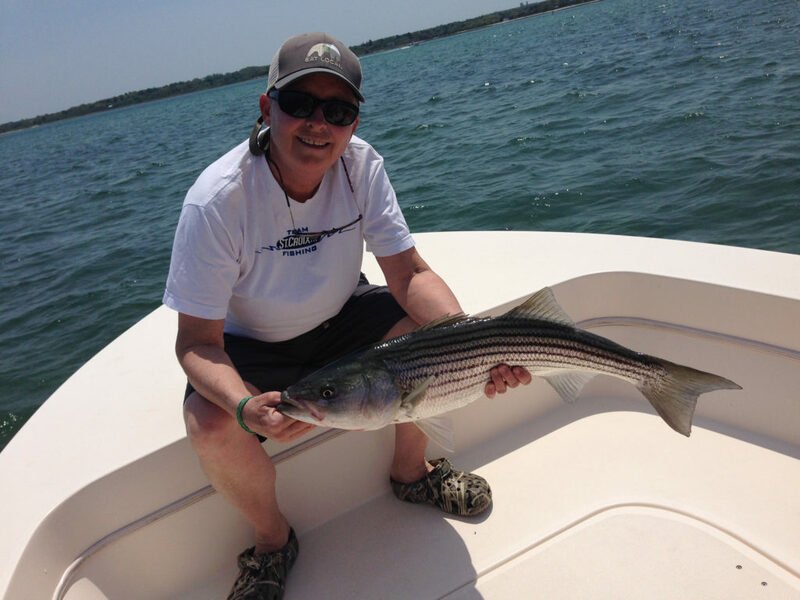 June is a great month for fishing Barnstable Harbor!